Privacy has become a bit of a loaded word in recent times. With a plethora of recent hacks resulting in the theft of vast quantities of personal data, and the misuse of data for nefarious means still lingering in the minds of many, it is no wonder that the word privacy conjures up feelings relating to the exact opposite of what privacy is meant to mean; that is, the very lack of it. The public are on guard when it comes to their personal data. Back in the 1990s, the academic Alan Westin produced a seminal three-pronged ‘privacy index’ in which he divided society into three distinct groups in terms of how we think about privacy. The first of these groups were the ‘Unconcerned’, who will part with their personal data readily and pay no heed to what they see as overinflated ‘privacy fuss’. The second group he called ‘Pragmatists’, who are a little more diligent and like to weigh up the benefits against the risks of parting with their data. The third he classed as ‘Fundamentalists’, who can be defined as those who agree that consumers have lost control over their data, disagree that businesses handle data properly and disagree that the law provides reasonable protection over their data. The GDPR, the EU-wide legislation which came into force earlier this year, is built on the pillars of honesty, fairness and transparency. It gives consumers more rights than ever to determine how their personal data is or is not used. One would hope that a tightening of legislation around the use of personal data would lead to increased levels of confidence, that if consumers are to offer up their personal details they will be used in a fair and responsible way. Now more than ever, the onus is on organisations to make a case for why consumers should part with their precious personal data, particularly to those who remain unconvinced. Last year, a survey carried out by fastmap showed that at the end of 2017, 26% of consumers considered themselves data fundamentalists. This is quite an increase from the 18% of consumers who considered themselves to be data fundamentalists at the start of the year. Things simply aren’t getting any easier for marketers who are keen to get across the reasons why consumers should grant organisations their consent, and their data, for the purposes of marketing. It seems inevitable that data fundamentalism is on the rise considering that 2017 saw a great many hacks and data breaches from data-laden businesses like Equifax and Yahoo! (whose 2014 breach only came to light last year) leaving billions of records compromised and consumers all around the world affected. Events like these, with such huge implications for so many people, clearly triggered an erosion of trust in data protection legislation and this pessimism towards data protection legislation echoed across Europe. New research from fastmap shows that levels of satisfaction regarding data protection legislation around Europe remain fairly modest across the board. How strongly do you agree with the statement ‘Existing data protection laws are reasonable’? Although levels of satisfaction in data protection legislation vary, at best fewer than a quarter of people reckon that their county’s data protection legislation is up to scratch. This does not bode well for marketers attempting to build trust and it is no wonder, then, that such a climate could be seen to be cultivating a growing number of data fundamentalists. Consent is one of the six conditions outlined in Article 7 of the GDPR. It has had a profound effect on how personal data is collected, how long it is stored for, and for what purpose. A key component of Article 7 is that consent has to be active and demonstrable. This means that consent forms have to be explicit and clear about the type of communications you are consenting to receive. It also requires consent to be positive opt-in, without pre-ticked boxes. As you would expect, these changes make getting consent more difficult for organisations, especially when you are asking a data fundamentalist. The graph below is based on fastmap’s research into how different attitudes on data protection effect consent rates. As you would expect, data fundamentalists are by the far the hardest to get consent from, and on average organisations can expect over 35% less consent from people who fit the profile. With this, and the increasing numbers of data fundamentalists, organisations can expect to struggle to grow their contactable databases post-GDPR. To improve the chances of gaining the highest levels of consent from consumers, consent forms need to be carefully designed with particular attention paid to the language and positioning of consent requests. 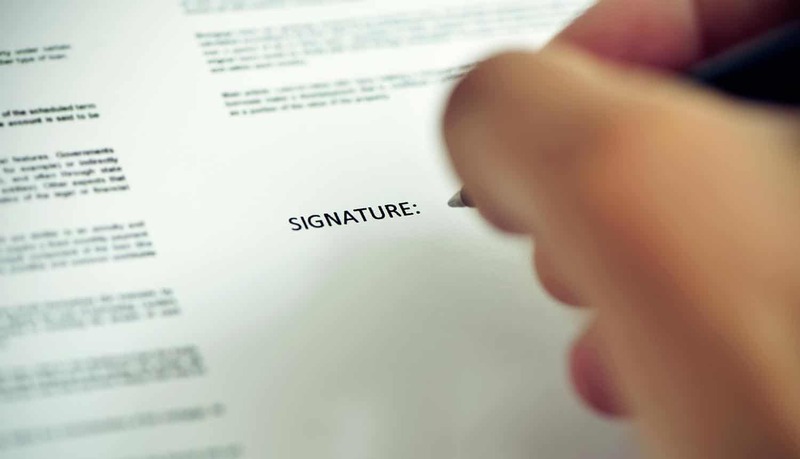 While working with organisations to optimise consent forms, fastmap have found that even small changes in the wording of consent forms can drastically increase consent rates, especially if you understand your demographics and how they prefer to be spoken to. Through testing different forms in online surveys, and using benchmarking data, organisations can better understand their forms’ strengths, weaknesses and ultimately improve consent rates. What works for one audience is not necessarily going to work for everyone. The table below shows how fastmap’s consent research identified how the factors that influence consent differ with age. As you can see (indicated by the blue cross), many of the most important factors directly relate to privacy and fundamentalism and, generally, the older the audience the more concerned they are likely to be about privacy and data protection. fastmap have also seen the results of their consent form tests vary drastically between organisations and other demographics besides age. To make the most of this initial chance to start a relationship with potential customers, organisations should consider optimising consent for their specific audiences. As you can see in the graph below, opinions on the importance of different factors that influence consent vary massively between industries and individual companies. With data fundamentalism on the rise, the importance of getting consent right should not be overlooked. Considering the opinions of your audience, and creating clear consent forms that make it obvious what communications will be sent, helps contacts develop trust in the relationship and is likely to mean they are more engaged with any marketing you send them.